Today, at Ocean City MD, I found a loose page from the Sept. 18 USA Today, p. 6A, with the captioning under Letters “Questioning God can reaffirm and strengthen one’s faith”. Maybe it was meant for me to find (call it a "freebie for CM", as if I earned it; my former Army buddies will know what I'm talking about). The letters (to the Editor) refer to an earlier article in USA Today Forums by Dean Nelson, “Why certainty about God is overrated”, and talks about the comeback of “doubt”. The link is here. 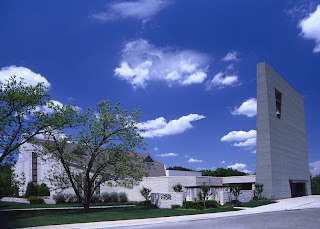 I remember even at MCC Dallas, the old church on Reagan St. before there was a Cathedral of Hope, that one of the elders there back in the 1980s (Jim Norwood) used to chant “I’m a believer, not a doubter”. And I remember a particular member ("Skip") who tried to probe me about where “God” was in my own life. I remember a particular lunch at the Lucas B&B on Oak Lawn, and a particular thunderstorm on a camping trip on the West Texas prairie back in 1979. And I remember that in August of 1979, after Jim’s partner Terry sung “He’s Alive” with his concert guitar on a Sunday night service, a particular member walked for the first time in ten years, and we all celebrated afterward at the Bell Pepper. How well I remember Dallas in those pre-Moral-Majority days. I had a bizarre dream last night about a possible preview of the Afterlife. I was told it was a particular planet around a particular sun about 40 light years from Earth. Sorry, not in a parallel universe. It was a real place, with oceans, a mild climate, and a lot of embedded holographic worlds to live in. You could access Facebook there. I wonder if, when we go, we get stuck in a last moment of space-time and stay there permanently, unless we really want to live forever, with what and whom we’ve got. In a Sunday school class a few months ago, a woman talked about dealing with the need to "fear God". Sometimes things seem that way. Here is the Wikipedia attribution link for image of the Cathedral of Hope, which I have visited several times; should make another visit this year. I believe it is separate from UFMCC.